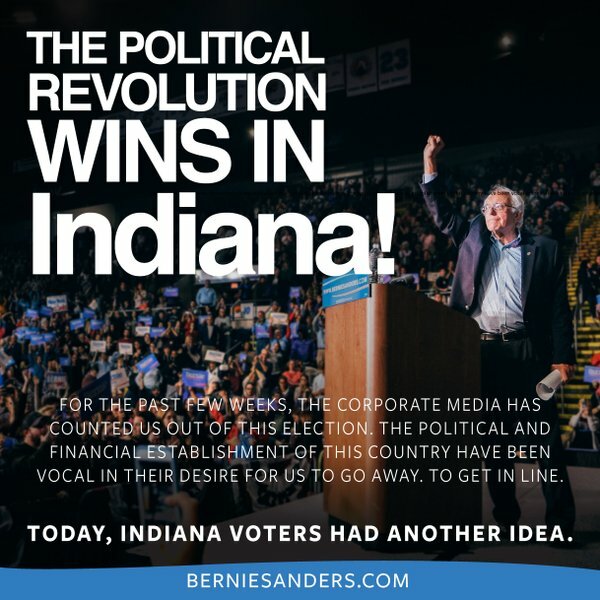 Bernie Sanders has defeated Hillary Clinton in Indiana’s Democratic primary. Sanders was projected by several national news outlets to win the primary, but it will lbe symbolic at best, as Clinton is on the path to the nomination with a substantial lead. Sanders and Clinton were separated by mere percentage points as the votes were being tallied. At stake in Indiana were 92 delegates, the third-most of any remaining state, behind California and New Jersey.